Yes, that's a VSB-80 CS. 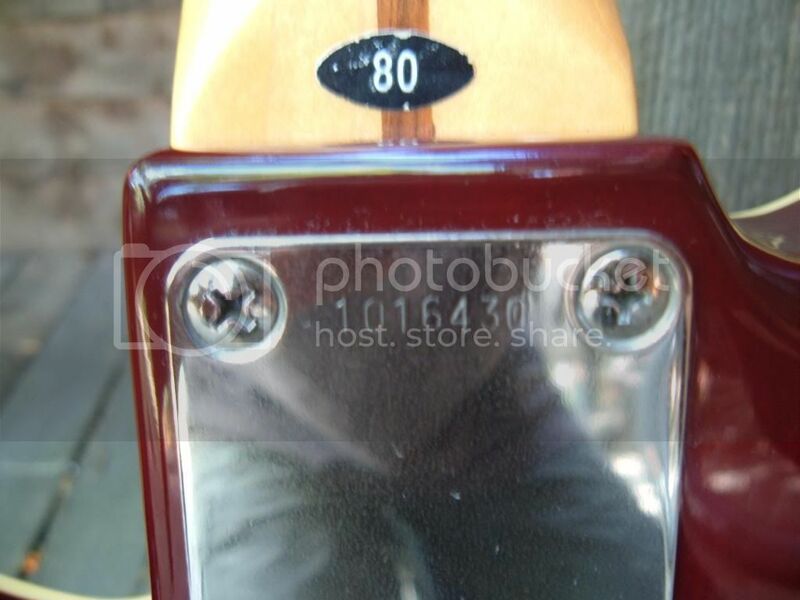 But something strange is going on; the serial number on the neck plate is from 1981 but the logo on the headstock is from 1984 or younger. 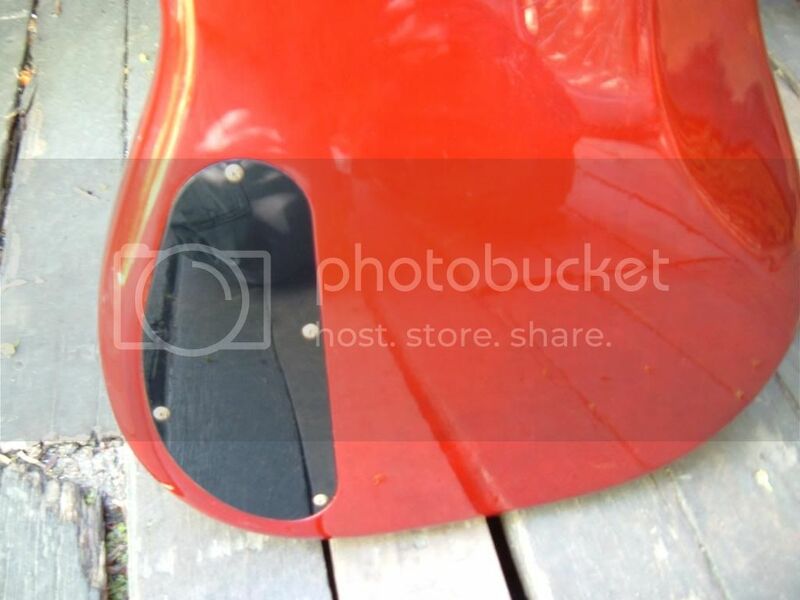 So either the neck plate has been changed or the neck has been swapped, or even; the neck is not Tokai and a Tokai waterside logo has been added later. Are there pics of the neck and body stamps? O, and welcome to the forum! 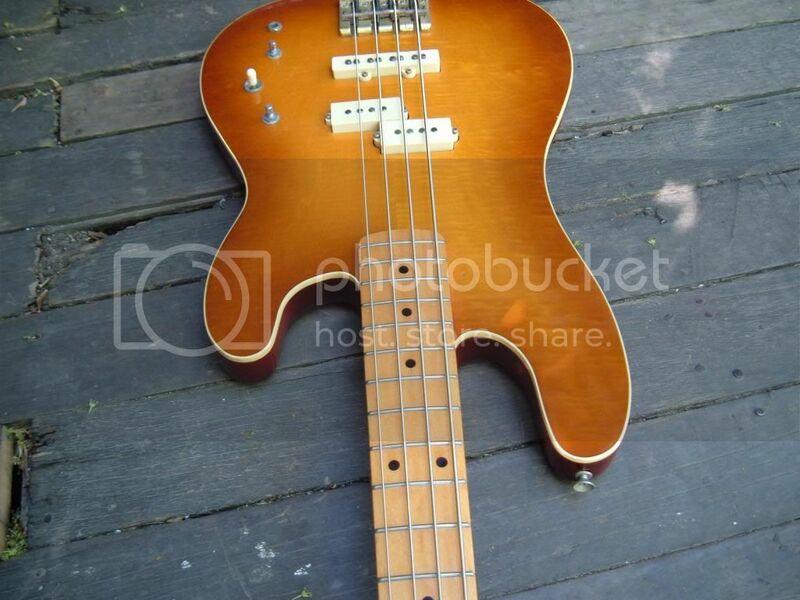 Posted: Wed May 28, 2014 8:59 am Post subject: pls help me in identifying this tokai precision bass! 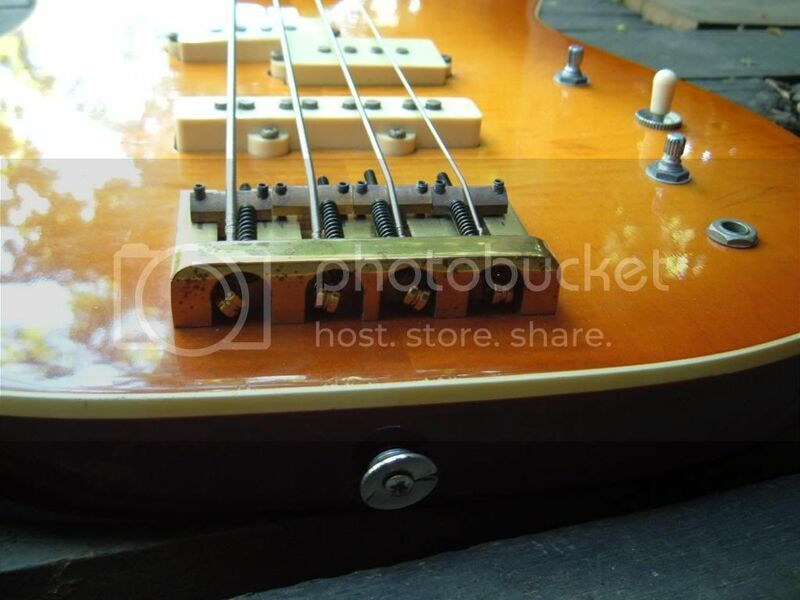 Yes it`s an all original Tokai 1981 VSB-80 AS(Amber Sunburst). 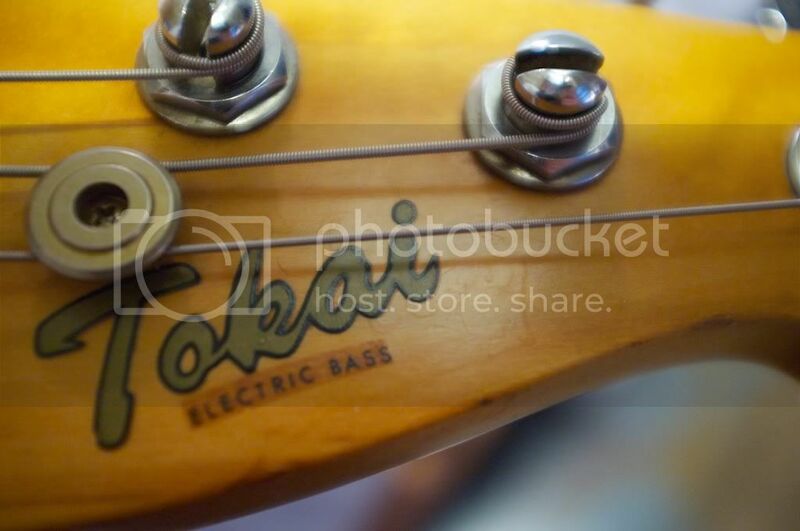 bass.The imprint of earlier spaghetti logo can be seen faintly under the nitro cellulose lacquer on the headstock of this bass.The little electric bass decal has dissapeared on mine or may never have been fitted. 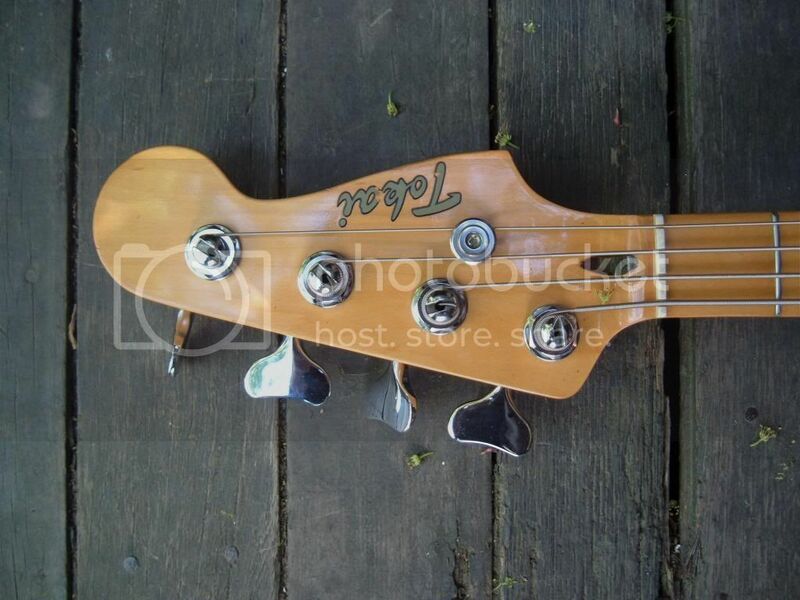 These re logoed models are almost certainly amongst the last models of these basses ever made .It is now mine! 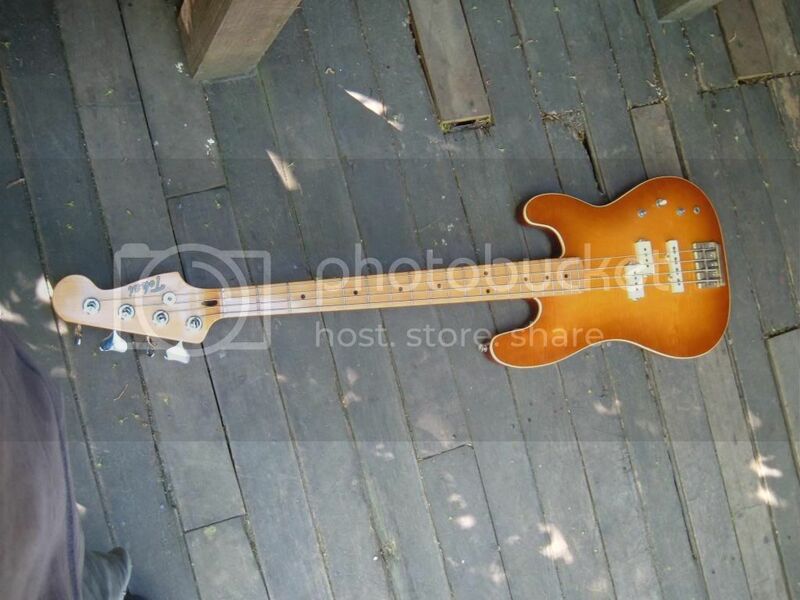 Another member here Da Santos, has or had the same 1981 model bass and which also has the same concealed logo under the lacquer,so they must have released them onto the market at roughly the same time after they had been re badged.The new less controversial script logo was applied I believe at the factory in 83/84, onto basses that had been made a couple of years earlier and were still in stock .Contrary to what appearances might suggest the bass is made of two pieces of book matched nitro finished, lightweight alder, stained to resemble mahogany to complement the the flame maple veneered top.It is a very lightweight, resonant, versatile and superb sounding bass. 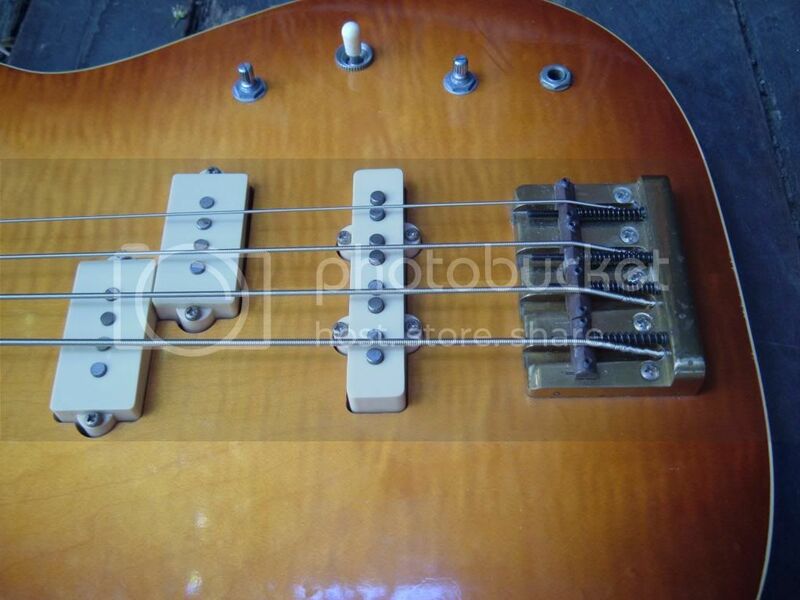 I have copied Da Santos`s post below.Mine which I bought from member Moltov did not need new pickups or rewiring, but each to his own I guess! Gabe. [quote="DaSantos"]Hi guys, this is my first post... So hello from London! Saw this in the window of a junk shop for NO money. Sounded terrible when I got it home, so I rewired it completely (with volume controls for both pups) and installed new pickups. It now plays and sound awesome. An interesting thing about it... if you look closely at the logo, under the 'legal' Tokai logo is the outline of the old 'illegal' Tokai logo in the lacquer. 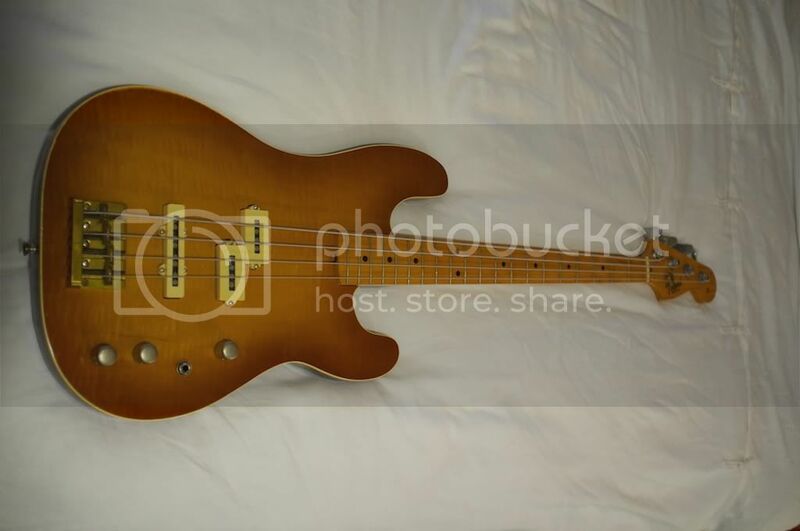 As far as I can tell by researching old product catalogues, this was bass was released around '79-'82, so I'm wondering if the logos were switched in the factory at the time of the lawsuit dramas? Anyway, enjoy the pics! 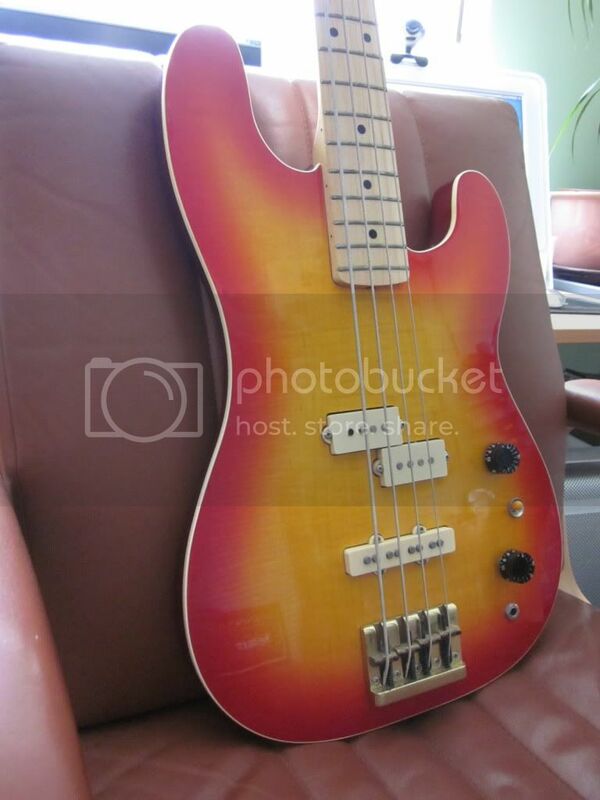 Here is Wishbonze`s in a nice cherry sunburst. Recently bought, 1981 Tokai VSB80, all stock, fantastic build quality, outplays and out performs my old '74 Precision hands down (IMO). 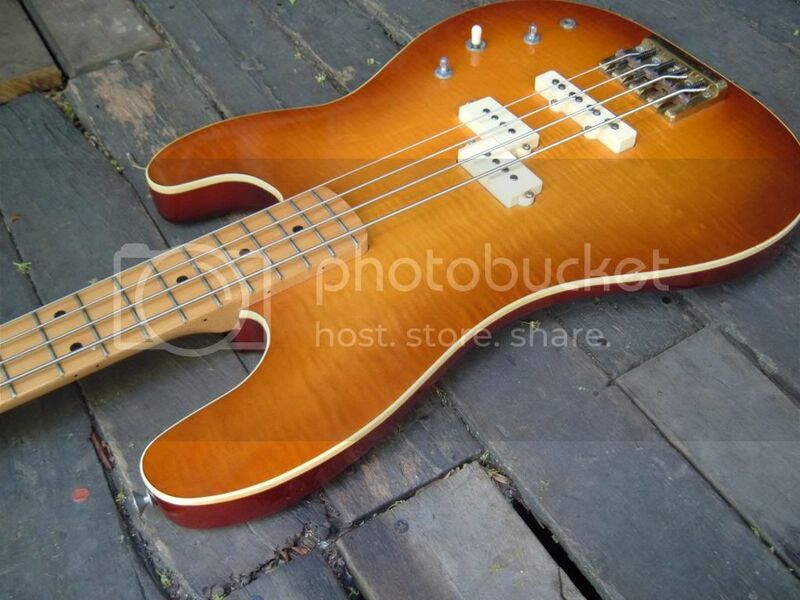 I put the 74 on ebay with the idea of selling it and replacing with the Tokai - but no takers! 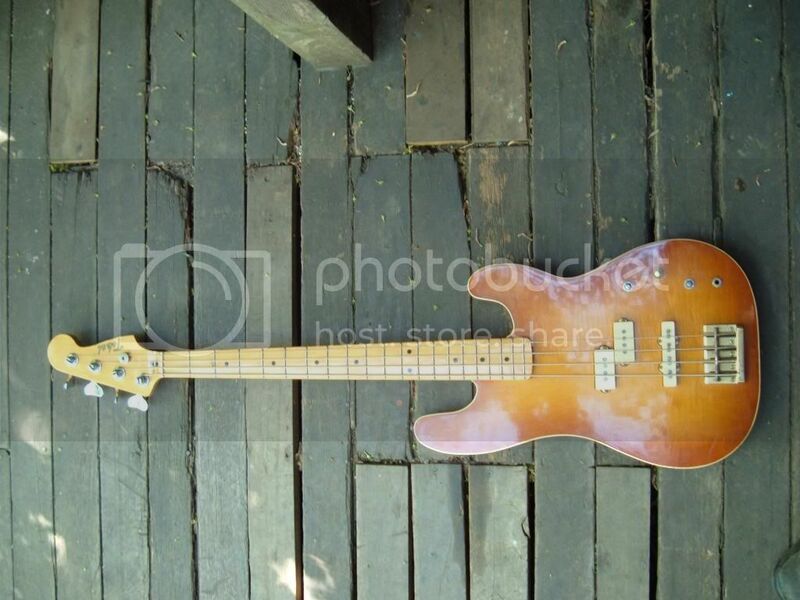 May have to reconsider if I can't unload the Fender, would prefer to keep the Tokai!